MORELIA, Mexico (AP) A leader of the brutal La Familia drug cartel is believed to have been killed in a shootout during two days violence that have challenged police and terrified civilians across key parts of Michoacan state, a Mexican official said Friday. Government security spokesman Alejandro Poire said officials have received information that Nazario Moreno Gonzalez - nicknamed "The Craziest One" - was killed in clashes between cartel gunmen and federal police. Cartel gunmen have been fleeing the clash scenes with their dead and police have information that Moreno was among the dead, Poire said. The shootout began Wednesday night when La Familia gunmen attacked federal police in the city of Apatzingan and fired on cars, using the sometimes-burning vehicles as barricades, said Alejandro Poire, the government's spokesman for security issues. Over the next 24 hours, gunmen threw up more blockades across the western state and surrounded its capital of Morelia to prevent federal police from sending reinforcements. At least eight people have died in the violence, according to the Michoacan Attorney General's Office, including five federal police officers, a baby and a teenage girl. Poire said the fierceness of the response indicates that security forces were on the heels of La Familia's kingpins. Federal police spokesman Jose Ramon Salinas said the operation in Apatzingan continued Friday but could not provide more details. Wednesday's shootings killed an 8-month-old baby who was riding in a taxi with his mother and the teenage daughter of a former Apatzingan mayor who was in another car with her family. Poire said the minors were killed when gunmen attacked their cars to use as barricades. In Morelia Thursday, gunmen fired into the air to force drivers and passengers from their vehicles, torched the cars and used them to blockade all five roads leading into the city, said Jonathan Arrendondo, a spokesman for the state attorney general's office. Later Thursday, armed gunmen in two trucks ambushed a group of federal and state police patrolling a highway outside of Morelia, injuring three. Drug gangs began using blockades earlier this year in northeastern Mexico, where the Gulf and Zetas drug gangs are locked in a turf war, and recently spread to Michoacan, home state of President Felipe Calderon. Poire said Moreno emerged as the leader of La Familia in 2006, when the gang broke off from the Gulf cartel and declared its independence by rolling severed heads into a disco in the mountain town of Uruapan. After taking office that December, Calderon sent thousands of federal troops and police into Michoacan. He has since deployed thousands more to other cartel strongholds in Mexico, and gang violence has surged, claiming more than 28,000 lives. Moreno was considered the ideological leader of La Familia, setting rules for its cartel members that promote family values and prohibit consuming - but not trafficking - hard drugs. He purportedly has written a religiously tinted book of values for the cartels, sometimes known as "The Sayings of the Craziest One." The other reputed La Familia leader is former school teacher Servando Gomez. He is described as the operational chief of the cartel in an October 2009 U.S. Justice Department indictment for conspiracy to import and distribute cocaine to the United States. The Mexican Attorney General's Office posted a $2 million reward for the capture of both Moreno and Gomez in March 2009. Earlier this week, reports surfaced that Gomez still appears on the government payroll as an elementary school teacher in Arteaga, a rural town in Michoacan. The Education Department, responding to a report on the documents in El Universal newspaper, issued a statement assuring that payments to Gomez have been suspended since June 2009, when the department conducted "a thorough review of its payroll." The federal police have recently arrested several key La Familia members. 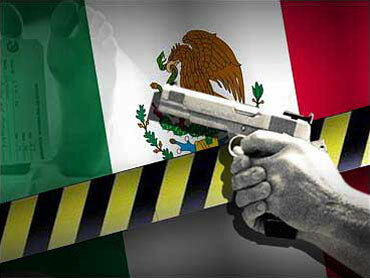 One of those suspects, Sergio Moreno Godinez, said under police interrogation last month that the cartel is in decline. He confirmed the authenticity of a letter, e-mailed to journalists and dropped on the streets of several towns, saying the cartel wants to disband and negotiate a truce with authorities. The government has ignored the offer.